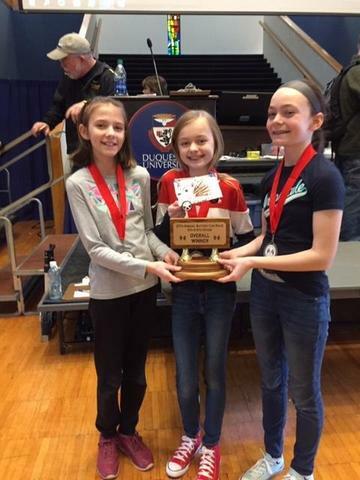 Congratulations to our 6th grade girls Natalie Kirsch, Addison Hazuda, and Rachel McDevitt who won overall first place at the 5th & 6th grade Battery Car Race. They were undefeated until the last race which ended in a photo finish.However, the score on the supporting documents ( PowerPoints) count toward the overall score and they took first with the combined score. Congrats also to Jake and Everett who made to the semi-finals and lost their heat in a heart breaker also.